Price isn't the only thing when it come to getting your Surgilube products, experienced customer service is priceless! Sportaid offers a complete range of high quality lubricants from Surgilube. These lubricants ensure painless and easy insertion of catheters, endoscopes, surgical instruments, and gloves. These lubricants are among the most trusted brands found in hospitals across the country. 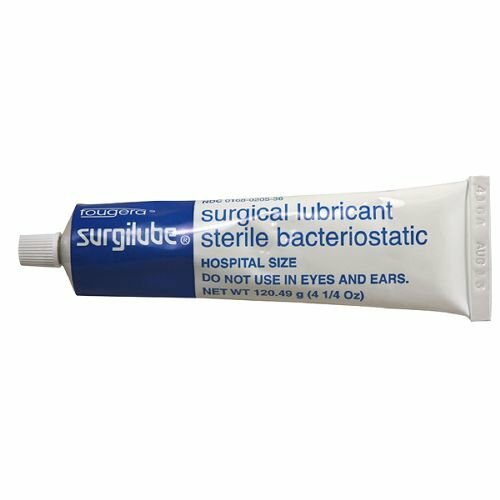 Browse through our selection of Home Medical Supplies Lubricants such as the Surgilube Lubricant 4.25 oz Tube and Surgilube Lubricant Foil Packs below or feel free to call 1-800-743-7203 for help choosing the right product for you. And with our Low Price Match Promise, you really will come out a winner big time. Save big as much as 39% if you buy Surgilube from Sportaid today!